To reach me immediately, you can email me or call the studio at 250-275-4778. 9 times out of 10, my partner Stu picks up the phone. If I’m in a session he’s always happy to answer any questions or set up a booking. Basically, he keeps my poop in a group. I return emails within 12 hours at a maximum (time zones can make things a bit tricky!) But usually you can expect a response within a couple hours. 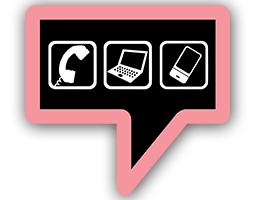 If we’re not able to take your phone call immediately, feel free to leave a message and we’ll do our best to return your phone call ASAP. Feel free to reach out if you need a quote, or would like an audition for your project. And you’re more than welcome to download a copy of any of my voice over demo’s to keep on file right from this site too, if you’d like! And an estimated budget. I understand that budgets fluctuate from project to project and I always try to be flexible! Once a project is complete, I typically post audio to my FTP for download – I hate when files get jammed up in email… That said, I can always email files to you directly, upload to your FTP, or send files over using any other file transfer option available. Whatever is easiest for you. If your organization is a non-profit, I'd love to know! I’m always happy to give discounts to charities. I'm sure we can come to some agreeable terms. I work with a lot of startups as well. And if our interests align, I'll do everything I can to make the price right for you. All project are recorded from my ISDN Studio on Vancouver Island. Though I’m happy to travel when needed. Here are the specifics (for the nerds in the back) the signal chain consists of a Sennheiser 416 Shotgun and Neumann U87 Condenser Microphones, Monster Studio Pro 1000 Cables, a Trident 4T Celebration Channel Strip and Focusrite Saffire Pro 24 AD/Converter. And I record in a custom built sound isolation booth. Ask me about the secret door… I may or may not be making preparations for the Zombie Apocalypse. 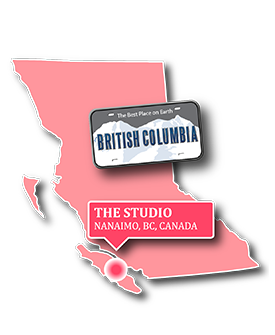 Team Setch Studios Inc. is an award winning production house in beautiful British Columbia, Canada. We’re a team of creative writers, producers and voice talent working together to bring Agency Quality Creative to local and regional companies across North America. Our services include; Creative Radio Advertising Campaigns, Professional On-Hold Advertising, Audio for Websites including flash video, audio for T.V. spots plus a wide array of other unique Audio Production, voiceover and creative writing applications. MaleVoiceover.com is a great place to start your search for a male voice talent. If your project calls for a bit more "testosterone" touch base with Stu. He's a great "guy next door" VO. But also casts all of our Team Setch Studios commercials and audio projects. And he's got an awesome roster of Male voiceover talent. CarSpots.ca is dedicated to Automotive Radio Advertising. Our ads stand out. You get the highest quality, the biggest sound… ads that will blow your competition out of the water. CarSpots.ca provides high-end radio advertising targeted specifically to the automotive industry. Commercial campaigns are written, voiced, produced and delivered to you as a complete package. By using unique concepts and the highest quality voice over, music, sound effects and production equipment available in our commercials, your ads will stand head and shoulders above your competition on the radio!